When my family and I first went to the event in March 2015, my daughter was four and a half. Two years later, she still remembers her flight, getting her face painted, and learning to pop-rivet! The event is staffed by an incredible crew of volunteers, including the pilots. Knowing what a huge impact the day had on my daughter, and my passion for encouraging girls in STEM (science, technology, engineering and math), I returned to volunteer this year. 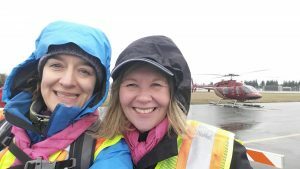 I was assigned as a helicopter loader and honestly think it was the best job at the event, even in the soaking rain! 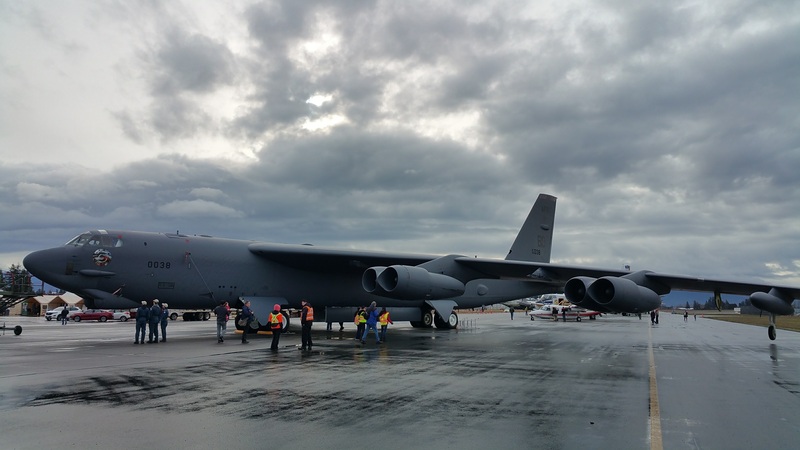 The loaders collected groups of excited sisters, friends, cousins, aunts, daughters, mothers and grandmothers, walked them out on the tarmac and gave them a safety briefing, before loading them into the helicopters and waving them away. It was inspiring, rewarding and just plain fun to point out the helicopter, lead them out to the machine and help them with their seat belts and headsets. The helicopter we were loading was piloted by Russ Cmolik of the Cmolik Foundation. 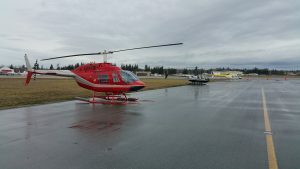 It was a Bell 407 with lovely leather seats and space for six excited passengers. Over the course of the weekend, we sent about 120 passengers up for a 10 minute flight over Abbotsford. 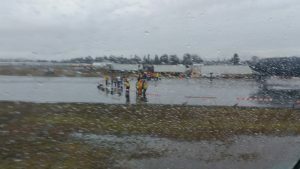 Eight other helicopters – three donated by Russ himself – were on the job for the whole weekend. Among the hundreds of excited girls and their often equally-excited Moms, we loaded a couple of special guests. Russ’ Bell 407 helicopter was accessible to people with mobility challenges, and we were able to send a wheelchair-bound lady with MS (who dreamed of being a pilot before she was diagnosed at 21) and another disabled girl with her sister and Mom up for their first helicopter flights. An excited grandmother also ticked ‘helicopter flight’ off her bucket list when her daughter and granddaughters surprised her with a flight. Proud Dads stayed on the ground, holding brightly-colored backpacks, toys and umbrellas, and taking photos and video. 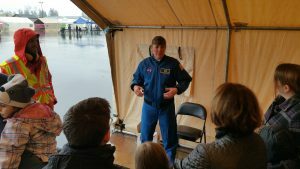 Several little brothers missed out and didn’t quite understand why, but there was plenty for everyone to do on the ground, including crawling into the belly of a B52 or meeting NASA Astronaut and US Navy Captain Heide Stefanyshyn-Piper. Captain Stefanyshyn-Piper logged over 27 days in space, and 33 hours and 42 minutes IN SPACE in 5 space walks. Although the rain soaked us volunteers to the bone on Saturday, and our legs and voices were giving out by Sunday evening, it was truly an inspiring weekend. 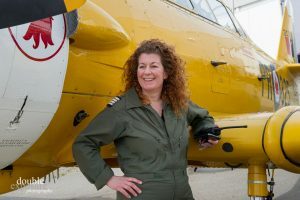 We’ll know for sure if it reached its goal when that stubborn dial moves and the percentage of female pilots, flight engineers, and flight instructors inches closer to 50 per cent. 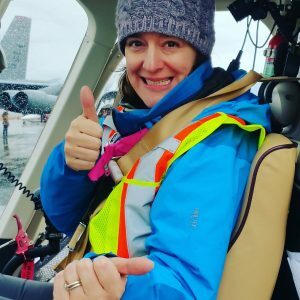 Check out The Sky’s No Limit – Girls Fly Too website or follow them on Facebook to see all of the amazing supporters of this event, and see you there next year!